Another awesome option is to engage a live-in pet sitter through a service such as Mindahome, one of the UK’s most trusted house and pet sitting websites. Knowing that pets are receiving loving care in their own environment is an obvious win-win for both pet and owner. But how about you, the pet sitter? As a pet sitter, you probably adore animals and love being around them. The problem is, that just because the pet you’re caring for isn’t yours, this doesn’t mean that you won’t form a strong bond with them. So when you’re sitting job is over, you’re very likely to miss them. Every pet sitter has experienced it. You create a strong bond with the pets your care for only for the sit to come to an end and you’re faced with those puppy dog eyes as you walk out the door. It’s not easy on anyone. Think bigger picture: It’s true, those furry, feathered or otherwise faces can be pretty adorable. But you’re part of their lives for only a limited period of time and there are plenty of other pets out there in need of your love when their owners are away. So, consider yourself more as a pet ‘guardian angel’ – there to care when you’re needed as opposed to being locked into loving one pet in particular – this can help you keep things in healthy perspective. Create a brag book of your pet sitting experiences: Take lots of photos and put together a brag book. 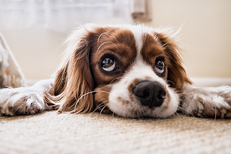 Not only can you use the photos to keep the pet owner up-to-date with their pet’s progress, it’s also a great way to remember each and every loveable one of the pets you have cared for. Keep in touch: Just because the pet sit is over, it doesn’t mean you have to cut all ties. Stay in touch via email and if the pet owner is willing, you might like to drop in occasionally for a furry friend pat and chat. This could be helpful especially if you’ve cared for a pet over a long period.